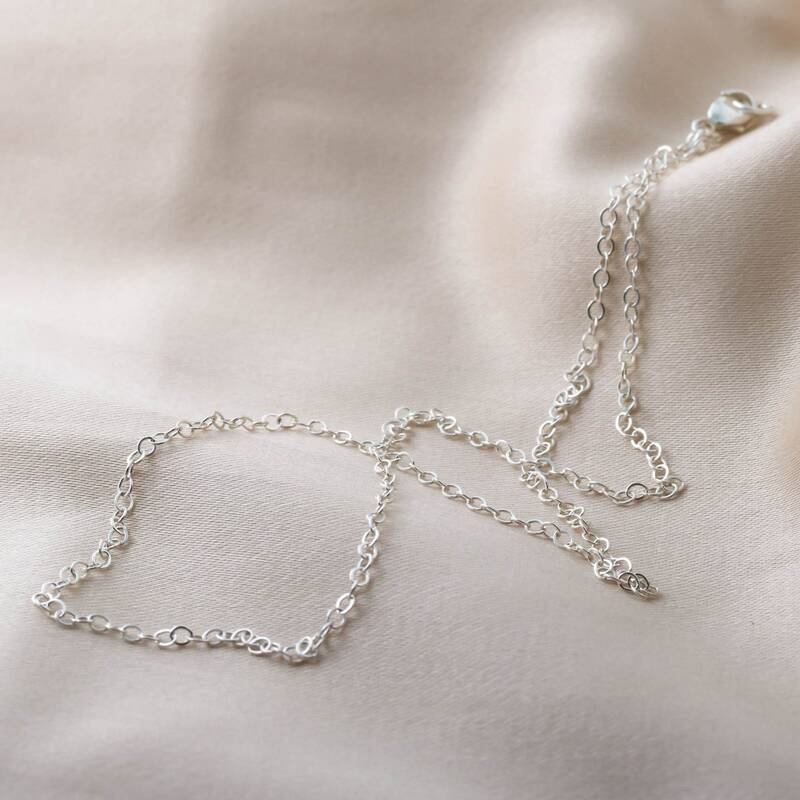 This is a thin sterling silver chain. 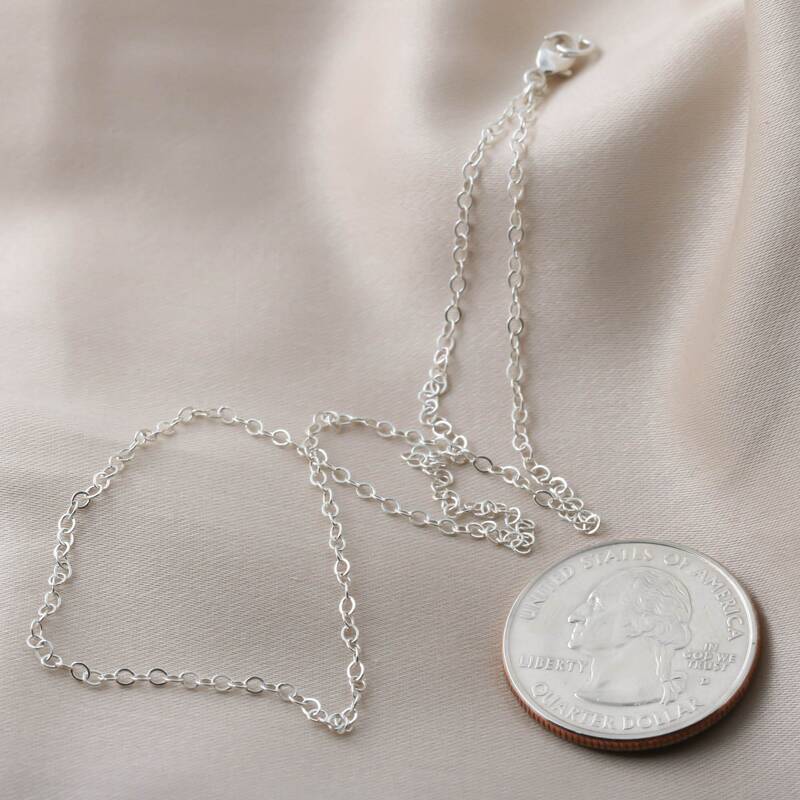 Its beautiful, petite, and goes well with our necklaces. Especially our silver pieces and dimes.